Rossi Test Complete, What is Next? 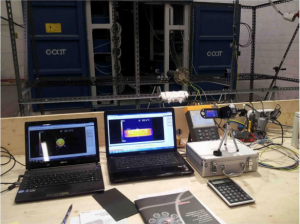 Andrea Rossi is reporting the testing phase for the one megawatt heat plant housed in a shipping container is now complete. This means a pending report from a “major independent third party certification institute,” is underway and reportedly due to be released in about a month. More of this is discussed at Swedish author and journalist Mats Lewan’s blog. The long-anticipated third party independent report on the E-Cat has been provided and Andrea Rossi has confirmed its uncut authenticity. Apparently a COP of 3.2-3.6 over a 32 day period and isotopic change in nickel and lithium was observed. The report is entitled “Observation of Abundant Heat Production From a Reactor Device and of Isotopic Changes in the Fuel” and is written by Giuseppe Levi, Evelyn Foschi, Bo Höistad, Roland Pettersson, Lars Tegnér and Hanno Essén, all of whom also wrote an earlier third party report on the E-Cat. A fair critique, especially of the calorimetric measuring, can be found here. With the results now published, what happens next? How independent are the familiar names of the authors? What is the margin of error? Does this really prove anything? Read the Full Report and decide for yourself. Daniele Passerini has posted another candid pic of Andrea Rossi’s “Hot” Cat on his blog. Passerini claims this photograph was taken sometime last year in 2012 and features the red hot device being pushed to its upper limits. 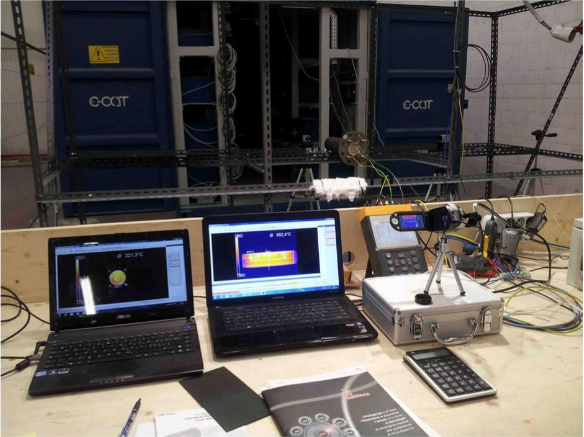 We have also been treated to pictures of the shipping and testing of the 1 MW Ecat plant from Rossi’s Journal of Nuclear Physics. The pictures were taken on April 30 – May 01 when the unit was purportedly transported from Bologna to Ferrara, Italy. Andrea Rossi has stated that this unit has been purchased by an American customer. Rossi also reported that the industrial 1 megawatt eCat acquired by an unidentified military customer has been available for 90% of the time, or about 8000 hours, with a COP of 6. Rossi reports the home eCat is “years away,” supposedly due to consumer testing and certification requirements. Several blogs and other sources are speculating on rumors of leaked images and data from a test of Andrea Rossi’s Hot Cat Energy Catalyst. 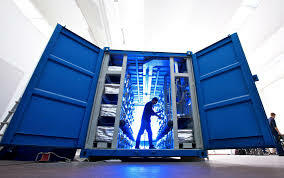 The device is reportedly capable of producing several kilowatts of power at temperatures up to 1,200 Celsius. An insider going by the name of Cures, has said the device in the picture was being supplied with 3.56 kilowatts of electrical power, and it was calculated to be emitting 13.39 kilowatts of power in the form of infrared radiation. Rossi has since identified the mysterious insider as, Domenico Fioravanti, an over exuberant consultant for an alleged military customer of the Leonardo Corporation. Rossi further stated the results of the July 16, 2012 test will be published by the University of Bologna in October.